One of my favorite things about reading to classes is that sometimes I get to read books that I have never read before. The book today was The BFG, by Roald Dahl. 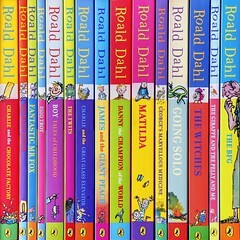 I have read many books by Roald Dahl like Charlie and the Chocolate Factory, The Witches, James and the Giant Peach, and The Magic Finger. However, I had never actually read The BFG. I began reading the book and was magically transported to a land where giants eat children. Don’t be afraid, the main character was a Big Friendly Giant who wishes no harm on children. Hence the name of the book, The BFG. The chapter that I read to the children was the Fleshlumpeater. The BFG collected dreams, but he only like to put good dreams into children’s sleep. He put the nightmares into the Giants. In the chapter about the Fleshlumpeater we got to see that the giants were afraid of a little boy named Jack. The student’s in Mrs. Thompson’s class agreed with me, that this might be the same Jack from Jack and the beanstalk. I think that it is kind of funny that these giants are afraid of a fairy tale that is not real. I also think that Sophie, the main “human bean” character, finds it funny as well. However, she does not explain it to the BFG. Roald Dahl’s writing is so perfect for read alouds. The voice that is present in his writings is very powerful. I was so glad to have had the opportunity to read it for an audience. I was introduced to Mrs. Thompson’s class by another fantastic educator, Mr. Snyder. Mrs. Thompson and Mr. Snyder have been reading buddy classes. They are both reading the same book as a read aloud to their class. Mr. Snyder’s class is in Pennsylvania and getting a lot of snow recently. We were going to try to Skype his class, Mrs. Thompson’s class, and I together, but the weather didn’t cooperate with our plan. Hopefully, we will be able to connect all of us together. You will have to keep reading to see if we can connect Wisconsin, Louisiana, Pennsylvania, and the BFG all at once. Will the weather cooperate? There is only one way to find out! Stay tuned! Since I work with students in reading, I am always looking for that answer to what motivates children to read. To be honest, I have learned that motivation is completely an individual thing. What motivates one child may not motivate another child. I was thinking of the kinds of things that we do as educators to motivate kids to read. Have students read for 15 minutes a night for homework. Fill out incentive sheets and give our students free pizza or a trip to the amusement park. Take AR or Reading Counts quizzes and get points for prizes. I am sure the list can go on and on with these kinds of activities. The truth is, this kind of motivation only works for some. And what I am about to mention, might also only work for some. Knowing your students and knowing great authors is going to be the best way (in my opinion) of figuring out how to motivate students to read. Let me share a personal story to help illustrate this idea. Right now, I have a little girl who just got a DSI for Christmas. Reading is not very big on her nightly to do things after a long day of school, homework, and dinner with the family. She wants to sit back, watch some ICarly and play on her DSI. Who can blame her? Certainly not I. Heck, I totally understand that she needs some chill time. Anyway, I struggle with that idea that my child should read 15 minutes every single night. I don’t want my child to “have to” read, I want my child to “want to” read. I don’t want my child to stop at 15 minutes because it is “homework”. I want my child to continue reading because she is so engaged with her book that she doesn’t want to put it down. Two of my girls have Six Hour Reading Club sheets to fill out for Great America. I have to tell you, on the parent side, I really want my kids to earn these tickets. 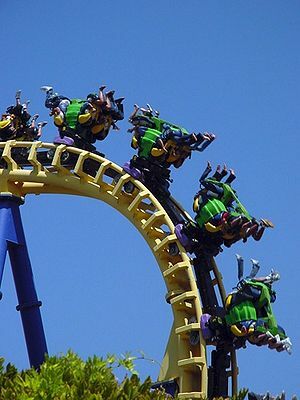 It saves mom a lot of money and mom loves to go to amusement parks. My oldest daughter didn’t want to find a chapter book and I have been trying to get her to fall in love with a series. She is out of Junie B. Jones and Magic Tree House books and looking for something more sophisticated. I was going to Skype with a class in Pennsylvania and another class in Louisiana simultaneously and read the BFG by Roald Dahl. The book was sitting on my desk and my daughter found it and starting to share her enthusiasm about this book that her teacher was reading to her. BAM!!! I now knew what was going to motivate her. Another book by Roald Dahl. I happened to have a copy of James and Giant Peach and asked if she would be interested in reading it. Not only was she interested in reading it, she went to bed, turned on her night light and read 4 chapters. Most importantly when I asked her how the book was going for her, she said it was awesome. Analyzing this situation, because that is what we do as teachers, I was thinking about what led to her enthusiasm to read this book. It wasn’t really the Six Flags incentive. (Although it was my incentive to motivate her to find a good book, LOL). Here is what I came up with. A teacher who took time out of his day to do a read-aloud time with books that he loved by great authors. A team of teachers that shared the same excitement for the same book that invited a lady known as The Skyping Reading Tutor to read this great book to them. A little girl who could feel all this enthusiasm and be motivated to read another book by this author. O.k. that is a pretty deep list. Here is a simple list of some things that we can do inspire and motivate our students/children to read. This is just my opinion and experience as a Reading Specialist. A true love of reading breeds motivation for kids to read. Keep sharing your favorite stories with kids, your favorite series, your favorite authors. It really makes a difference to the children in our lives.